My first and one of my favourite dinners with my newest accomplice Danielle! Danielle and I were in Galway at the Film Fleadh, when we came to the decision that it would be great to do a Japanese meal using Irish Seasonal ingredients. The best suggestion was that it would be great to tempura some courgette flowers. I made a quick phone call to the wonderful McNallys, I was informed they were available...provided I appear on the farm the day I was going to use them and hope it wasn't raining. 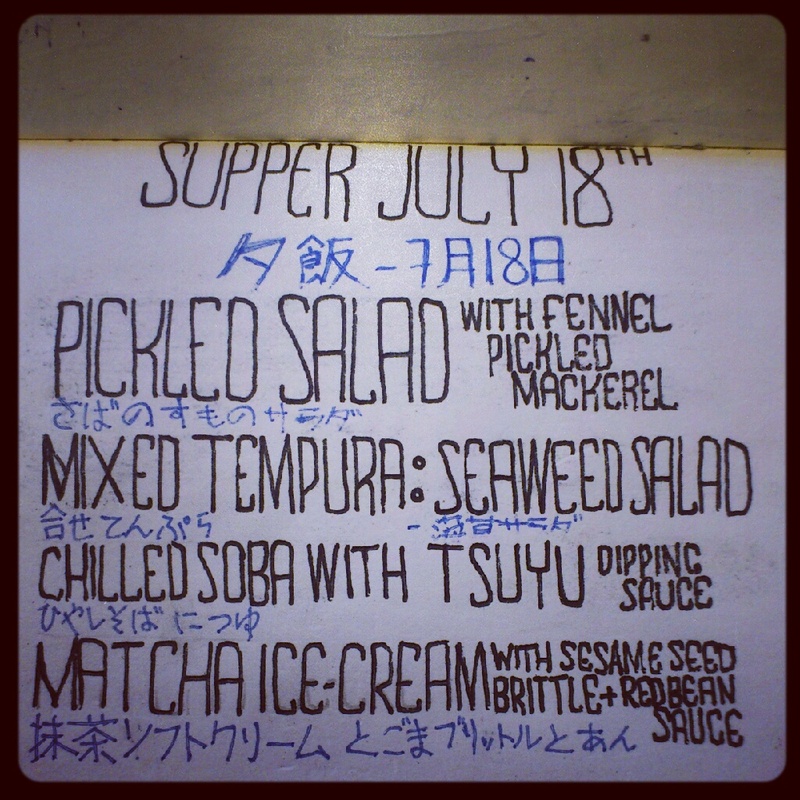 I wanted the pickled salad and mackerel to be strong and flavoursome. 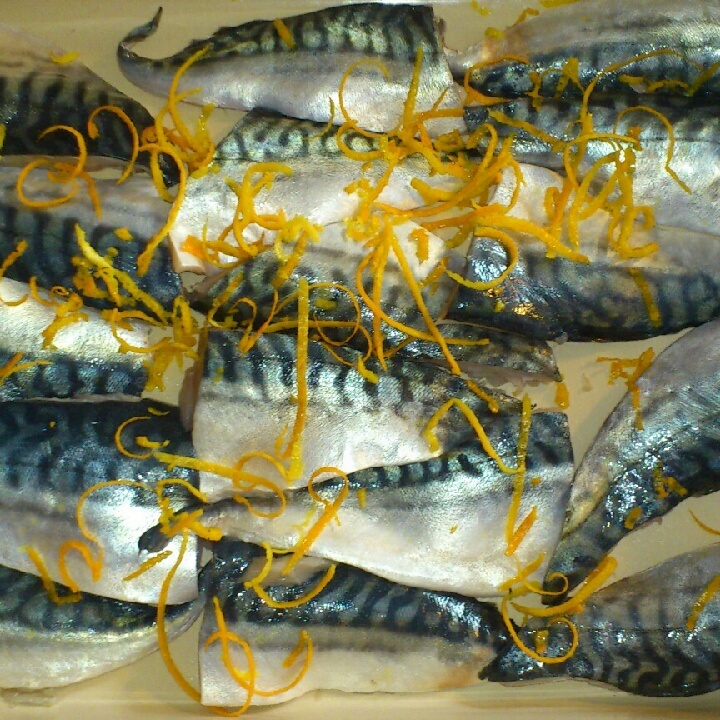 Mackerel only needs 24hrs to pickle safely. 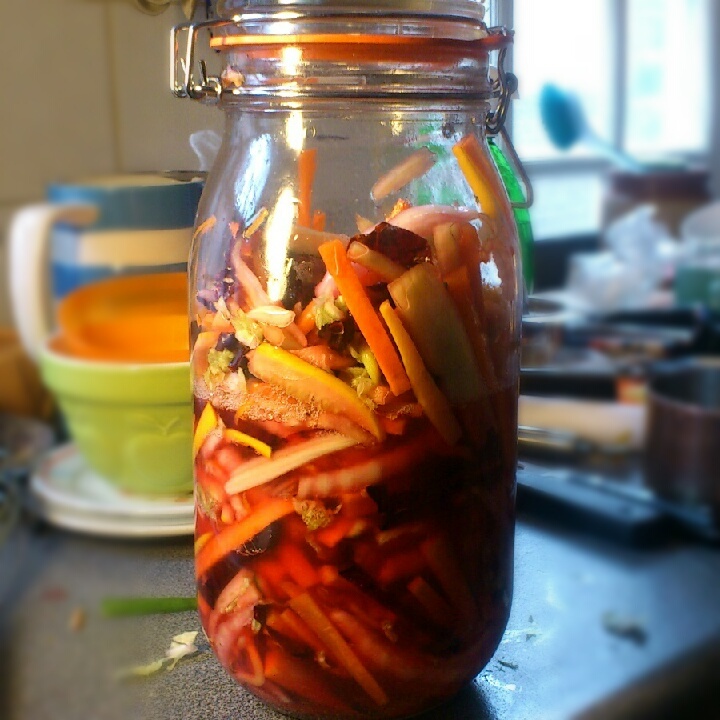 I wanted to intensify the flavour so I left it for 2 nights. 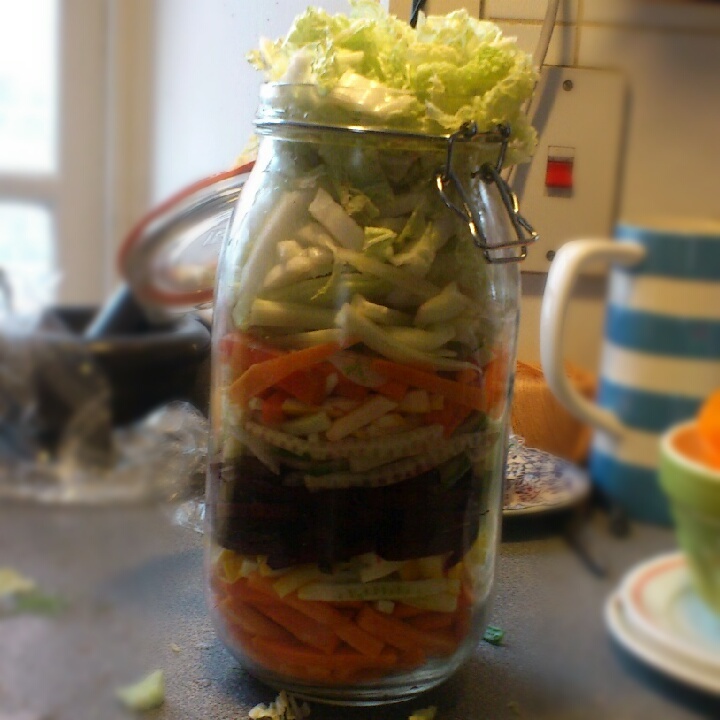 The salad is a simple bento recipe on a larger scale. 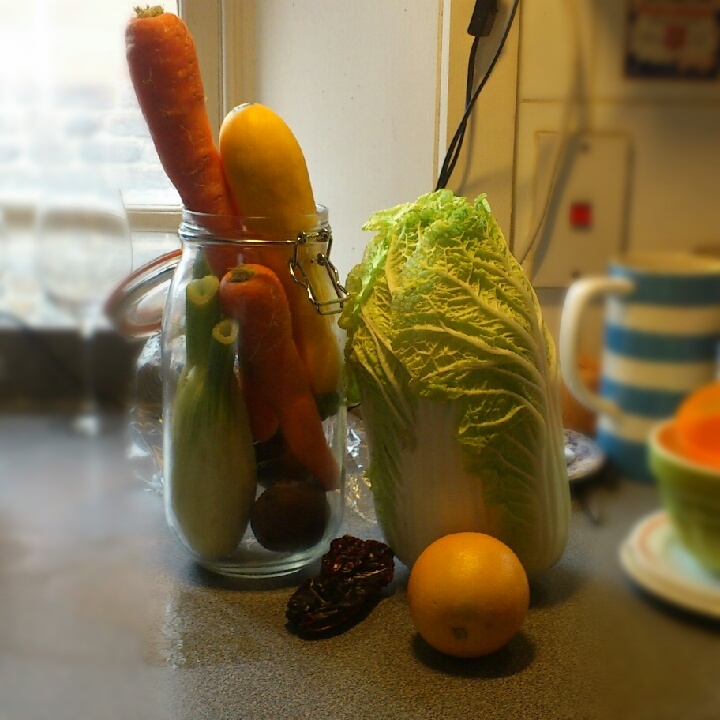 Find your veg that you want, chop it into strips pour over a mixture of rice vinegar and sugar leave for up to 3 weeks in the fridge. 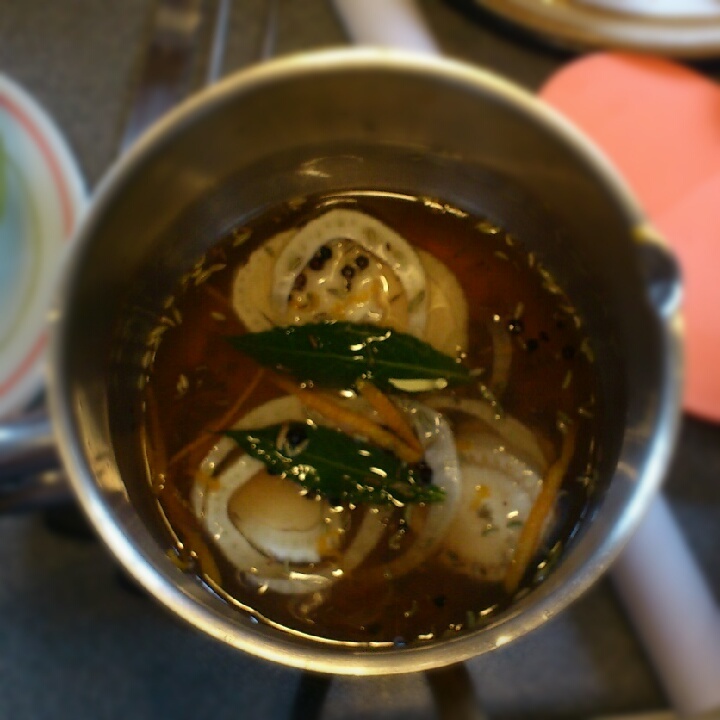 With the mackerel I used a mixture of cider vinegar from Llewellyns and white wine vinegar. Cooked it down with a fennel and orange mix. 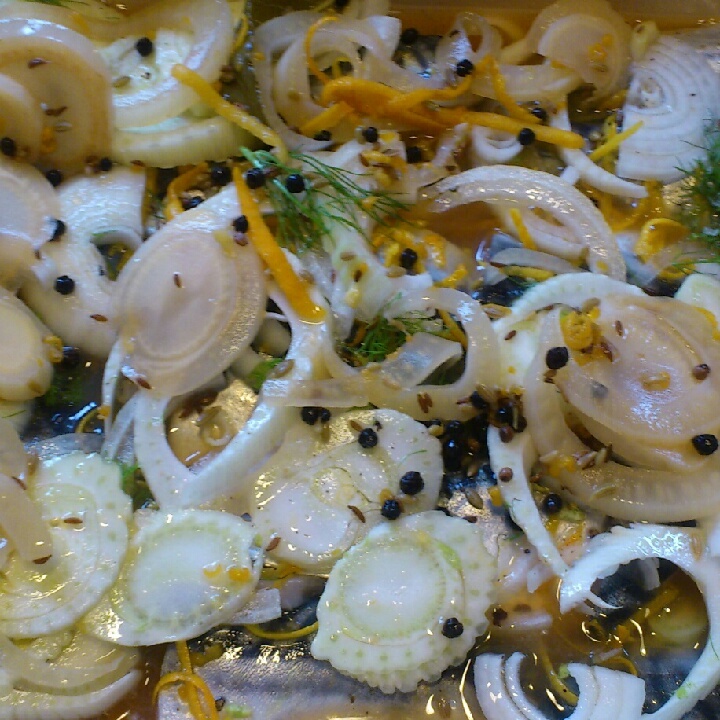 Covered the fish in onions, fennel and poured over the cooled liquid. I wrapped it well and put a heavy weight on top. I wanted to do something different with the seaweed salad this time, I decided to use rhubarb, broccoli and wakame seaweed with a soy/lime dressing. I roasted the rhubarb for 15min at a high heat with ginger and soy. Seared the broccoli with chilli. 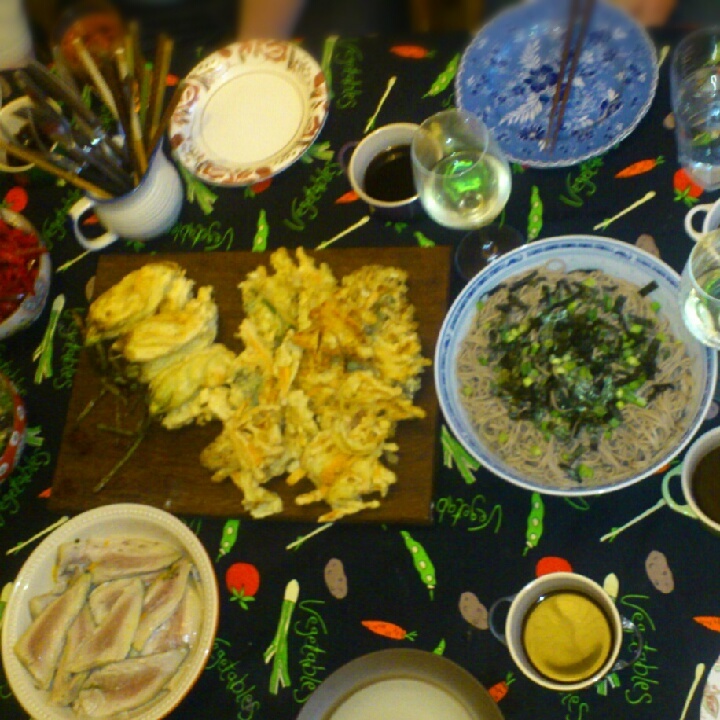 Mixed everything with the rehydrated seaweed. Dressed it all in the soy and lime and it tasted great. The plan was to make soba noodles and it almost worked. It got to 8:00pm, went to roll them...dust. Not good. It's life I guess I had done a test batch earlier that day, with some success. I had decided to add more white flour to the mixture. It just didn't come together. These things do happen and I plan to return to them soon. Out I ran to F&B and ran home. *I was mainly warm....I had also put my finger in the hot oil at least twice. 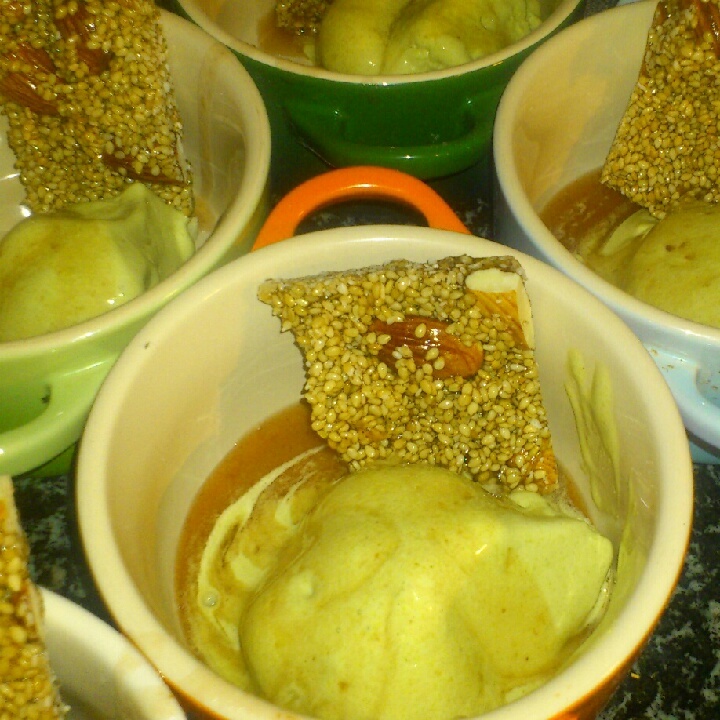 Last but not least was the matcha tea ice-cream. I love making ice-cream I've been making lots of it lately and my confidence has risen. I made brittle to go along with it. Cooked down the red beans to a nice consistency and passed them through a sieve.